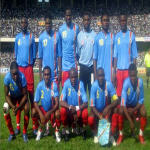 The DR Congo beat Ghana 2-0 to win the inaugural African Nations Championship in Abidjan on Sunday. The final - a repeat of last Sunday's group B encounter - was settled by second half goals from Dioko Kaluyituka and Bedi Mbenza. DR Congo and Ghana will meet in Abidjan in Sunday's final of the first-ever African Nations Championship. Ghana were the first team into the final after beating Senegal on penalties in the Ivorian city of Bouake, while in Abidjan DR Congo beat Zambia 2-1. 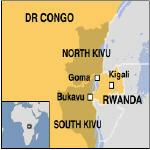 Thousands of Rwandan troops have started to leave Democratic Republic of Congo five weeks after they crossed the border to attack Hutu rebels. 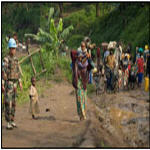 A ceremony has been held in the main eastern Congolese city of Goma, to mark their withdrawal. 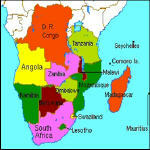 The Southern African Development Community (SADC) Standby Brigade is ready to intervene in the Democratic Republic of Congo (DR Congo) and Madagascar in order to restore peace and stability in the two countries, Angola's official news agency ANGOP reported on Monday. Negotiators between the Congolese government and a rebel group in the country's east have reached a preliminary agreement, after talks in the eastern town of Goma. Neither side has released details of the discussion, which would only set the stage for future peace negotiations. Rwanda, Uganda and southern Sudan will withdraw their troops from the Democratic Republic of Congo (DR Congo) next week after joint operations against insurgency in the war-torn central African country, the government announced here on Saturday. 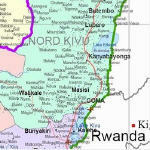 Ongoing negotiations between the Congolese government and the political wing of the rebel National Congress for People's Defense (CNDP) ends today (Friday) in the restive North Kivu province of Goma. 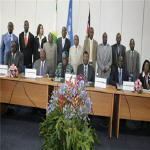 This follows a recent peace deal to end the long time hostilities between the national army and the rebels which has left scores dead and a sharp increase in the internally displaced persons. A growing number of Congolese refugees are crossing the border into south Sudan, trying to escape attacks on their towns and villages by members of the Ugandan rebel group the Lord's Resistance Army. 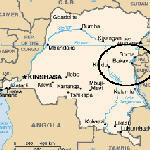 The Ministry of Health of the Democratic Republic of the Congo (DRC) has on 16 February 2009 declared the end of the Ebola epidemic in the Mweka and Luebo health zones in the Province of Kasai Occidental . 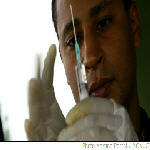 The last person to be infected by the virus died on 1 January 2009. This is more than double the maximum incubation period (42 days) for Ebola. 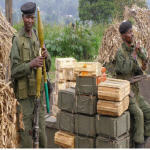 The joint forces of the Democratic Republic of Congo (DR Congo) and Rwanda have accomplished 65 percent of the military operation against Rwandan Hutu rebels, dealing a heavy blow to the insurgency, according to the Congolese government. Communication Minister Lambert Mende unveiled the achievements in the capital Kinshasa at a press conference, saying the government is totally satisfied with the joint military operation which has not caused any civilian casualties.